Holland is currently at work on his fourth Quantic record, which will be his fifteenth studio album to date. 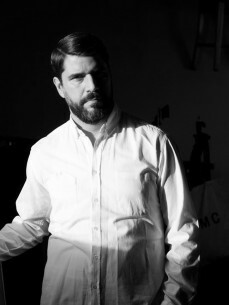 The album is to feature influences from Ethiopian Jazz to Haitian Compas, Salsa Dura from his Colombian homestead to Detroit techno, with electric sub bass and beat programming, All part of Quantic’s trademark sound. Holland records and mixes from his own Sonido del Valle studio where he utilises a range of vintage studio equipment, working as part sound engineer, musician and producer to procure a rich and original sound. Worcestershire born, Will Holland began his musical career at the age of 16, encouraged by his father, a Welsh born folk musician who worked in mechanical engineering & computer programming and his English born mother, a talented singer and folk enthusiast. By his early teens Holland had been introduced to home recording by his father and started to experiment with sequencing and programming. This, combined with a developing habit for record collecting, a household full of instruments and two older, musical sisters, it was only natural for Holland to setup a makeshift studio in the bedroom of their timber framed home beside the river Severn. After much experimentation, Holland developed a strong repertoire, eventually attracting the attention of ‘Breakin Bread Records’, a London based record label through which Holland released his first 45 ‘We Got Soul’. It was at this point his work as a DJ began to flourish and through a visit to Brighton he was introduced to label ‘Tru Thoughts’. In 2001 TT released his debut album ‘The 5th Exotic’ a collection of sample based songs mined from various lunchbreak trips to record shops and the diverse selection of instruments found in the Holland household, his two sisters also featured as guests. Shortly after the success of ‘The 5th Exotic’ Holland began work on the first Quantic Soul Orchestra record ‘Stampede’, combining live drum loops with Funk & Soul riffs to pay homage to the american Rhythm & Blues 45s spun in Quantic DJ sets. This was the era of the deep funk sound in the UK & the focus was on a raw, hard and incisive dancefloor sound. In that same year ‘The Limp Twins’ were born, a collaboration with Worcester based singer Russell Porter that saw their debut album ‘Tales from Beyond the Groove’ also released on Tru Thoughts records. Following this success and a closer working relationship with label Tru Thoughts, Holland moved his studio operations to Brighton, from which five more studio records flourished: ‘Pushin On’, ‘Apricot Morning‘, ‘Mishaps Happening‘, ‘An Announcement to Answer’ & ‘I’m Thankful’ with legendary US Soul Singer Spanky Wilson. Many of these records featured fellow Brighton resident & talented soul singer Alice Russell. During this time Quantic also toured extensively as a DJ and the Quantic Soul Orchestra circulated internationally as a twelve piece live band.